I’ve got some delicious ways to incorporate fresh mint into your meals and drinks today, so be sure to keep reading! So last month, I planted some herbs. And I’m happy to report that I have not yet killed them. Success! 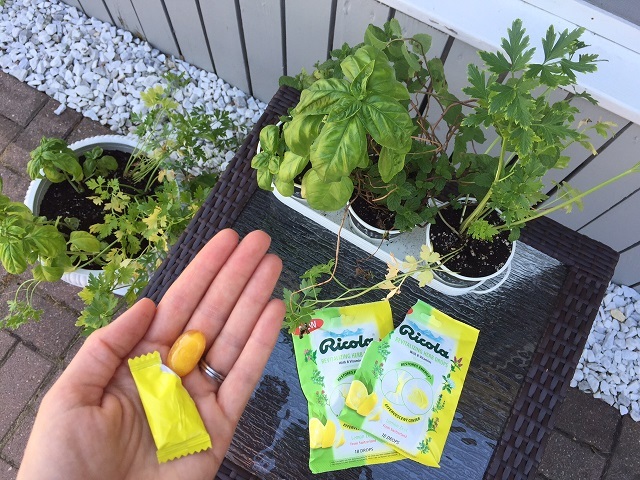 You may remember that I found myself encouraged to plant these new herbs as part of my partnership with Ricola®, and when deciding which herbs to plant, I tried to find at least one that could be found in Ricola’s 10-herb blend, Chrüterchraft. My original plan was to grow peppermint, but the two nearby places I visited only had regular mint, so I decided to go with that. External: Acts as local anesthetic (cooling). Internal: Hyperemisation effect. You can find out more about peppermint HERE! Since I wasn’t able to get my hands on some peppermint, I settled for regular mint, which I must say, I probably use more than I would have used the peppermint! 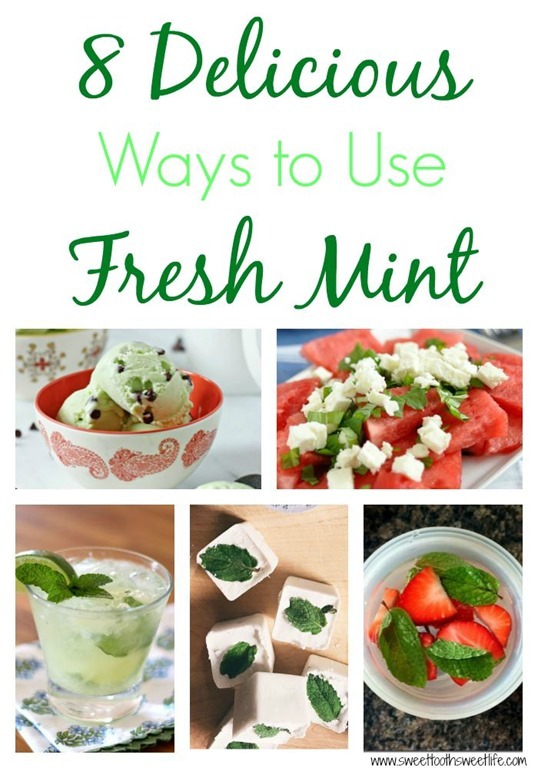 Regular mint is incredibly refreshing, and is super versatile to boot. 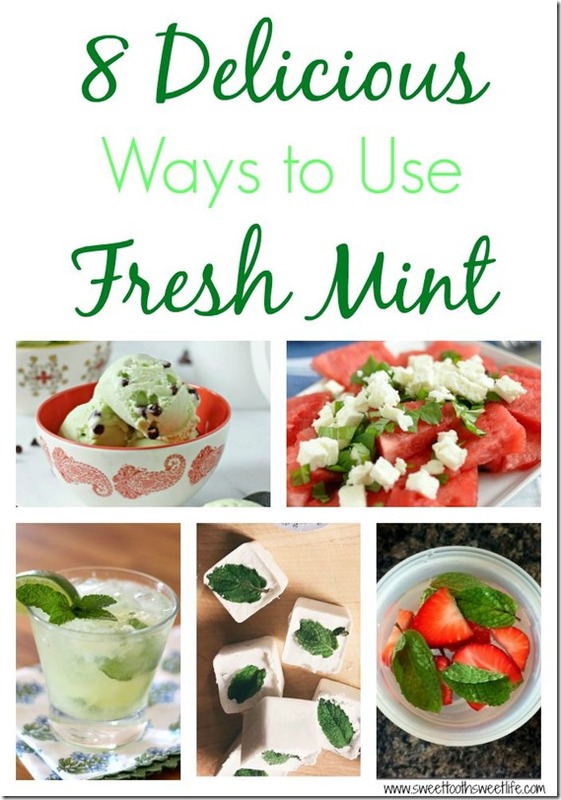 So today, I wanted to share 8 different ways you can use fresh mint, along with some yummy recipes, too! 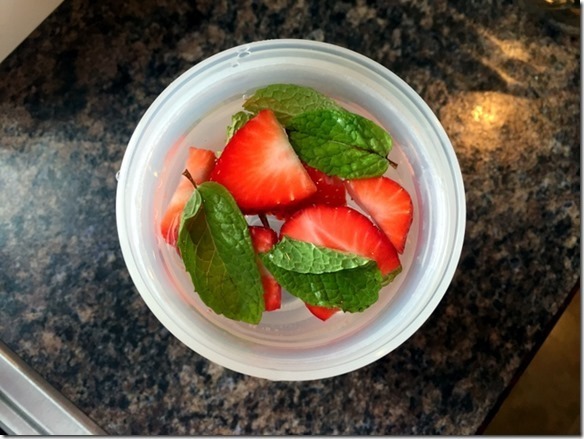 I absolutely LOVE putting mint in my water! My two favorite combos are strawberry + mint and lemon + cucumber + mint. So refreshing. 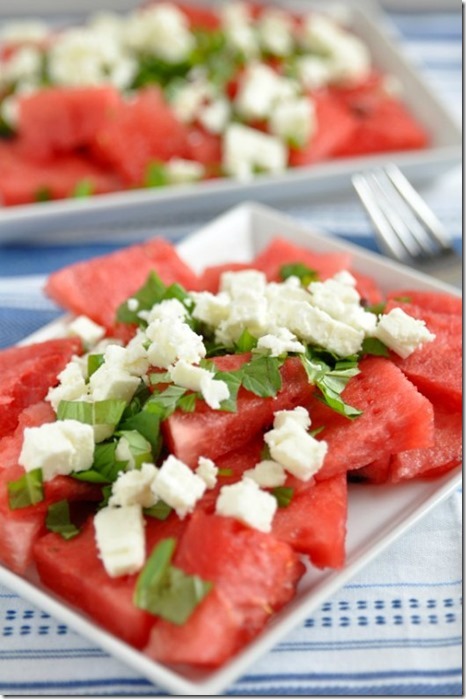 If you chop up the mint nice and fine and pair it with watermelon (and maybe even some feta cheese, too! ), it makes for a delicious combo. 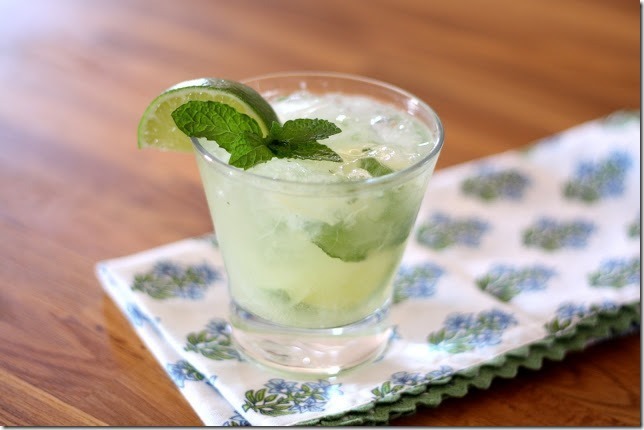 The first drink that immediately comes to mind for me is a mojito. What about you guys? I’m not a huge tea drinker, but I do like my iced tea. And have you guys ever tried sun tea? I think this sounds so good! I would have never thought of this, but such a cool idea, right? Pour 1 can coconut milk into ice cube trays. Add two mint leaves to each cube. Place in the freezer. Brew an iced coffee K-cup pod (or just double strength brewed coffee like we do) over frozen cream cubes. OMG need to try this. In my quest to find new ways to use my mint leaves, I kept coming across recipes for a mojo marinade that is apparently top notch. I think I’m really diggin’ the meat + mint thing! There is one recipe in particular that stands out for me in this category…hence the reason for the category. WOW. Do you guys have any more to add? Feel free to share ‘em in the comments below! I think the first one I’m going to try are those ice cubes for coffee! Get social with Ricola on Facebook: facebook.com/Ricola and Twitter: @RicolaUSA! Theres a restaurant here in Kuwait that I eat at almost weekly. I order the "Z Fattoush" salad. It consists of: tomatoes, cucumber, mint, parsley, green onion, green peppers, greens, halloumi cheese, and thin oven baked bread cut into squares served with a vinaigrette. It's absolutely delicious! I'm a big fan of all things mint! Its actually in the salsa recipe I posted today. 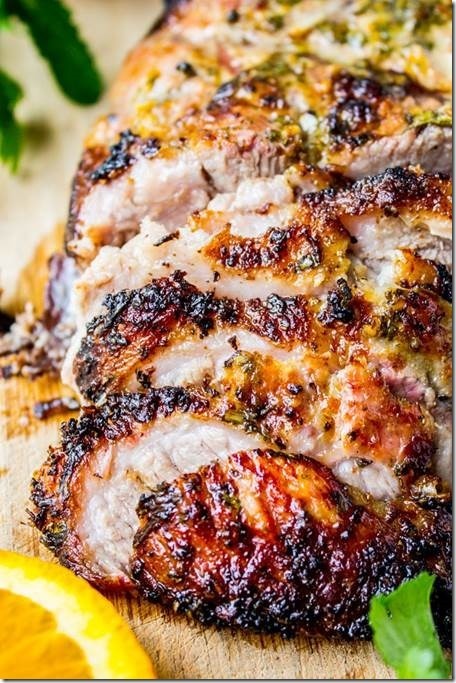 That pork recipe sounds amazing! I'm totally pinning it to try soon. Thanks for sharing! 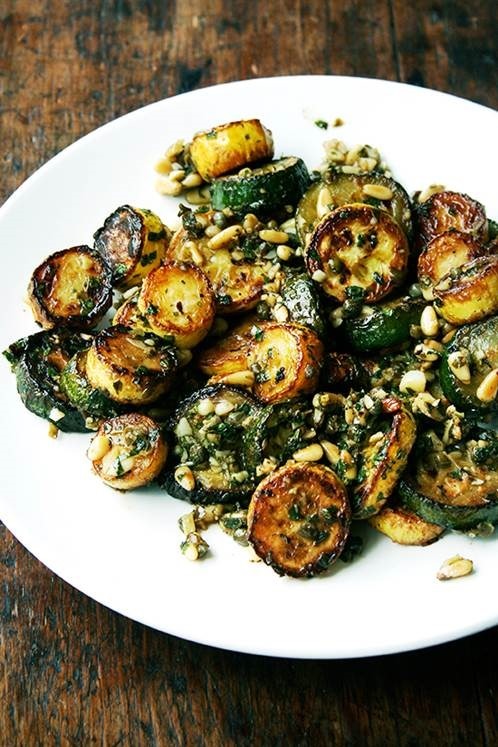 That recipe looks delicious, Danielle!! 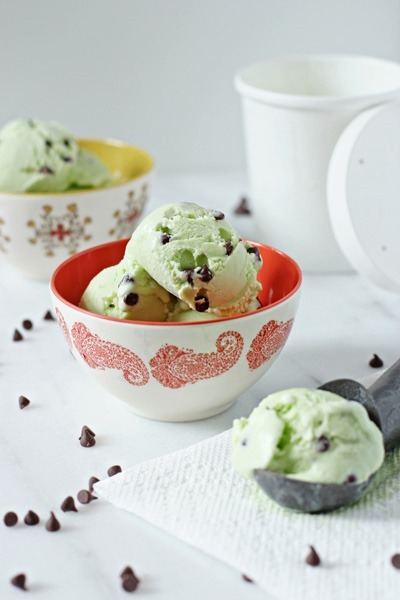 mint ice cream - oh yes! 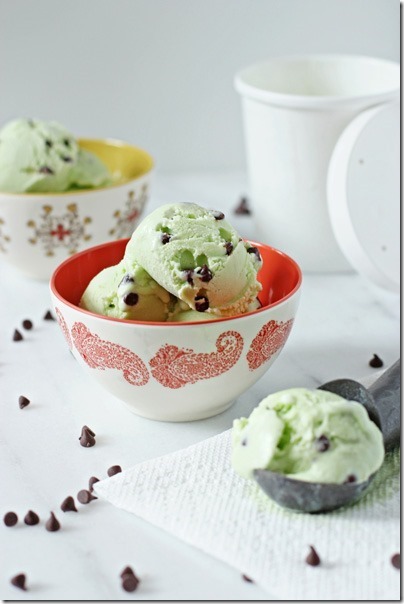 That mint ice cream is calling my name!! And those coconut cream cubes are genius!